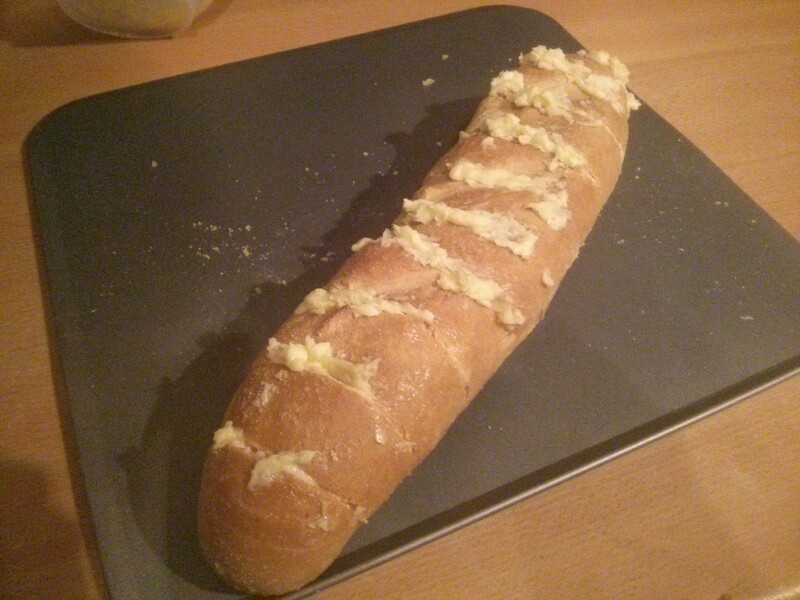 Tonight we’re doing a healthy lasagne, served with less healthy garlic bread! 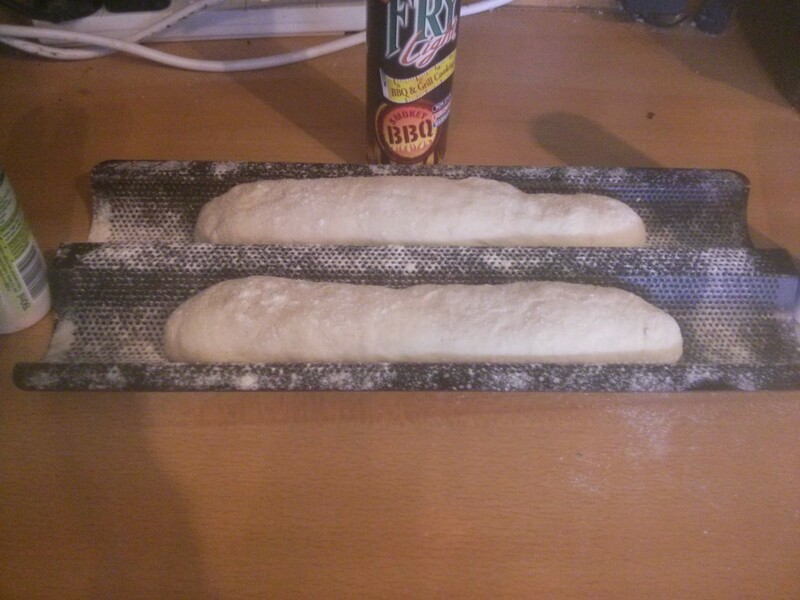 For that we need baguettes, so I’m following a Paul Hollywood recipe to make them. I followed a book one, but it’s very similar to this one on the BBC Food site. The oven goes on 200c fan, and a roasting tray goes in the bottom. 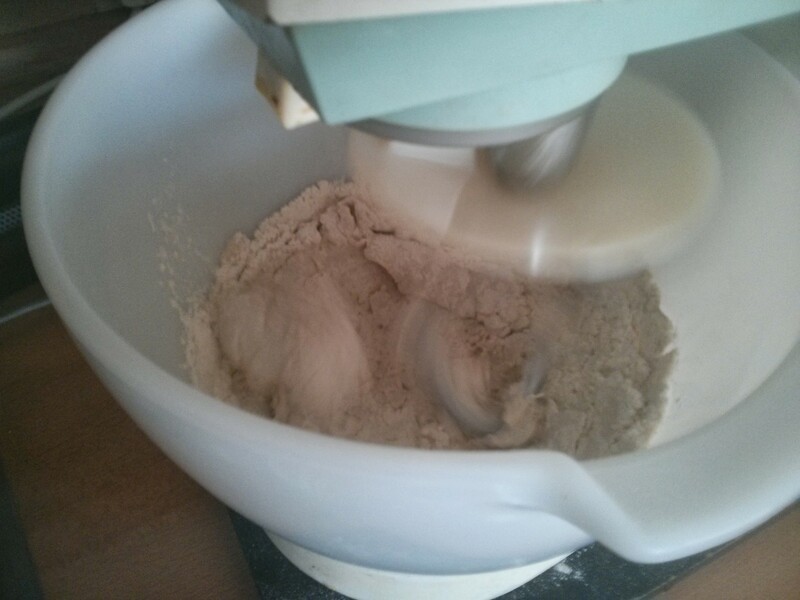 Dry stuff goes in the mixer, mixer goes on slow, and the wet gets aded gradually. 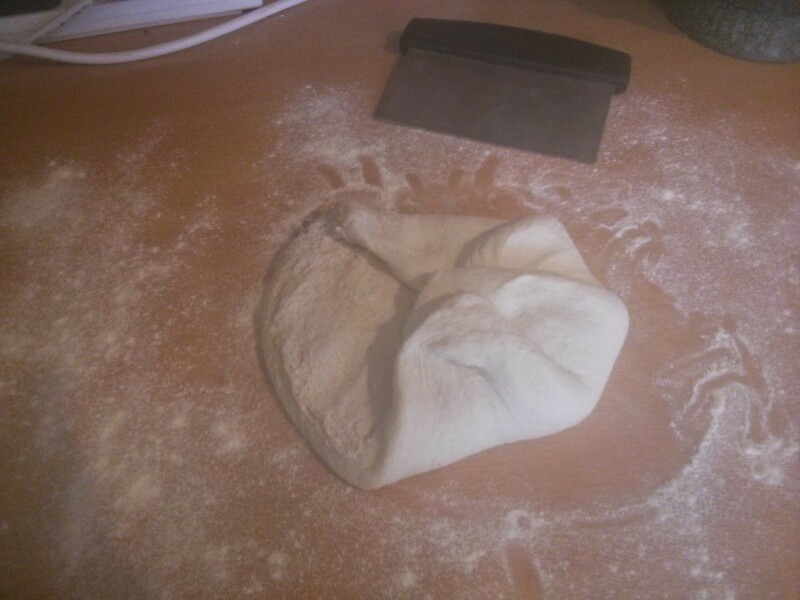 Then it’s onto medium for about 15 minutes… but it still wasn’t coming together. This goes in an oiled bowl and proves to double in size. It then gets knocked back and folded a few times. 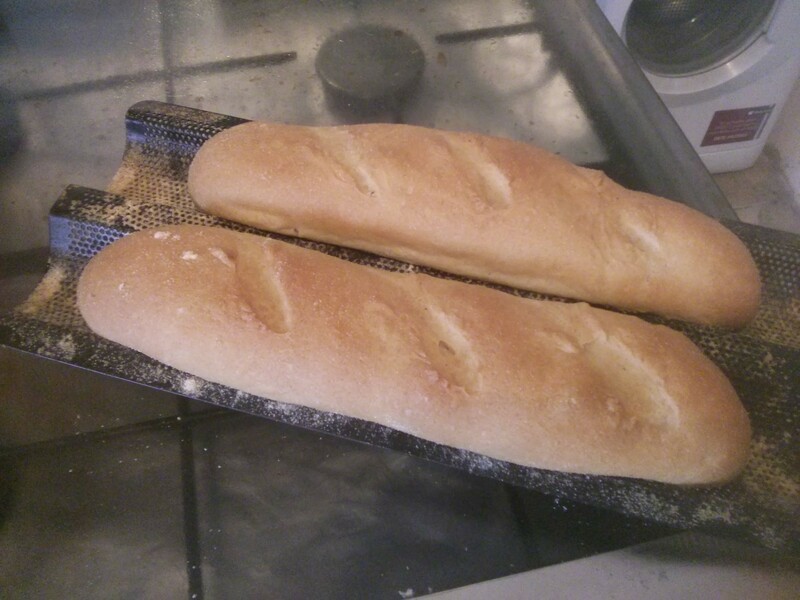 It then gets formed into two baguette shapes, and place on my new toy: a baguette rack. 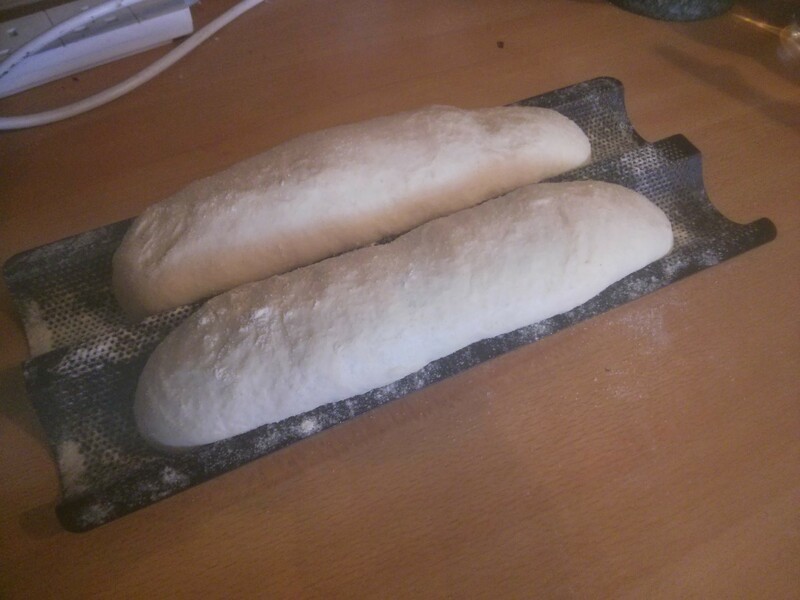 After proving they’ve doubled in size. 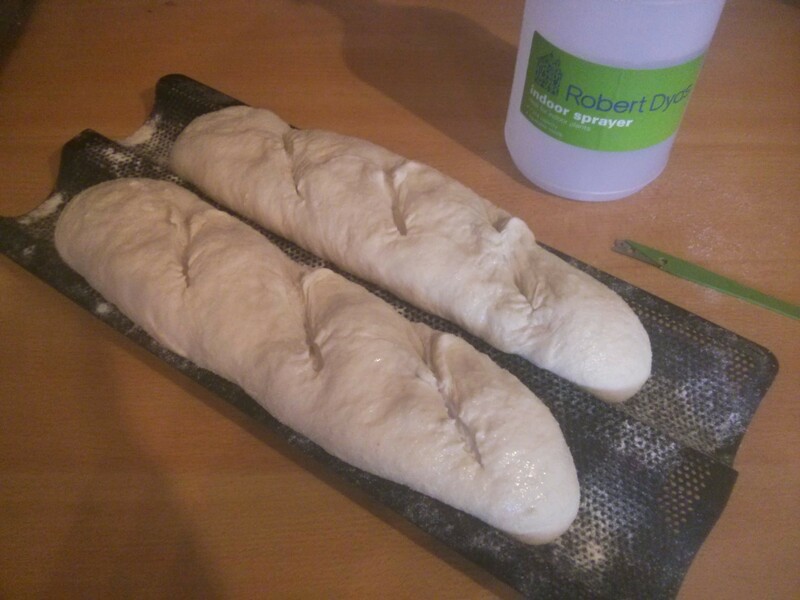 Before going in the oven it gets slashed with a razor and sprayed with water. Also before going in the oven water gets poured into the roasting tray in the bottom of the oven to create steam and help form the crust properly. I was worried this was going to throw steam everywhere and I poured in water from a distance using a frying pan! 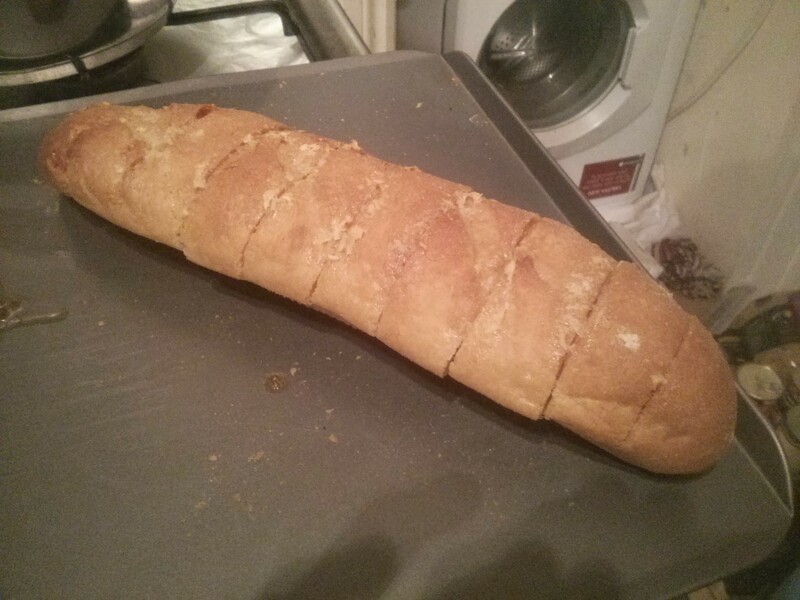 No need… it didn’t even sizzle. 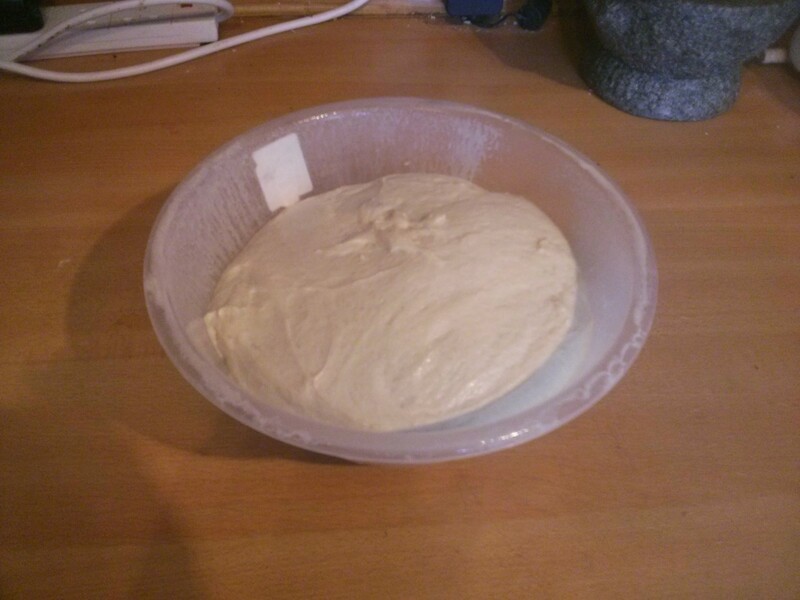 Then it’s 25 minutes in the oven, turn down to 180c and cook for another 10 minutes. These cool on a rack, and if you look at the upside down one you’ll see the cool ‘real baguette’ pattern on it! 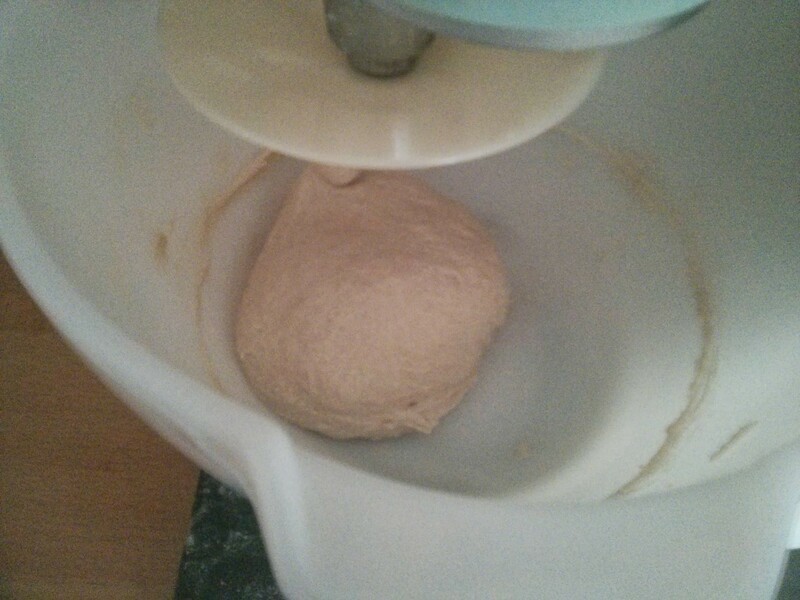 Once cooled it gets scored and a garlic & butter mix spread in between. 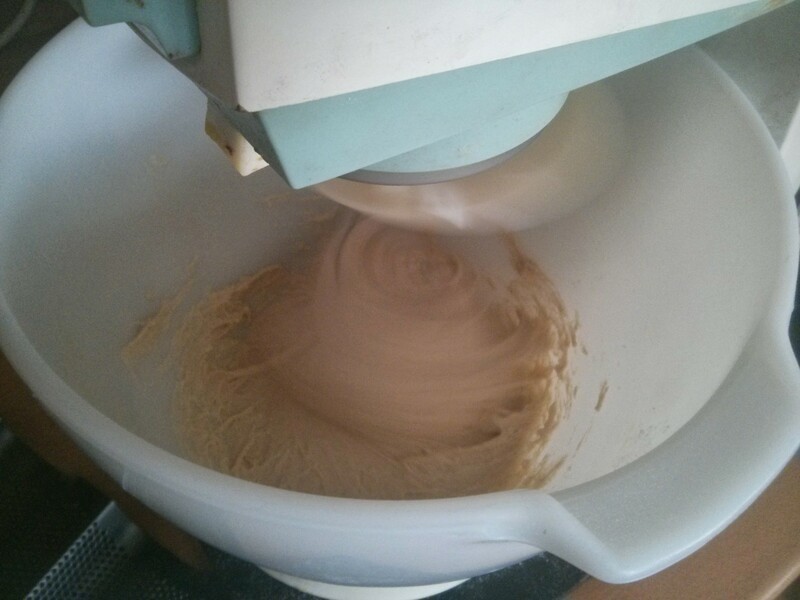 After 10 minutes at 180c fan, the butter has all melted. 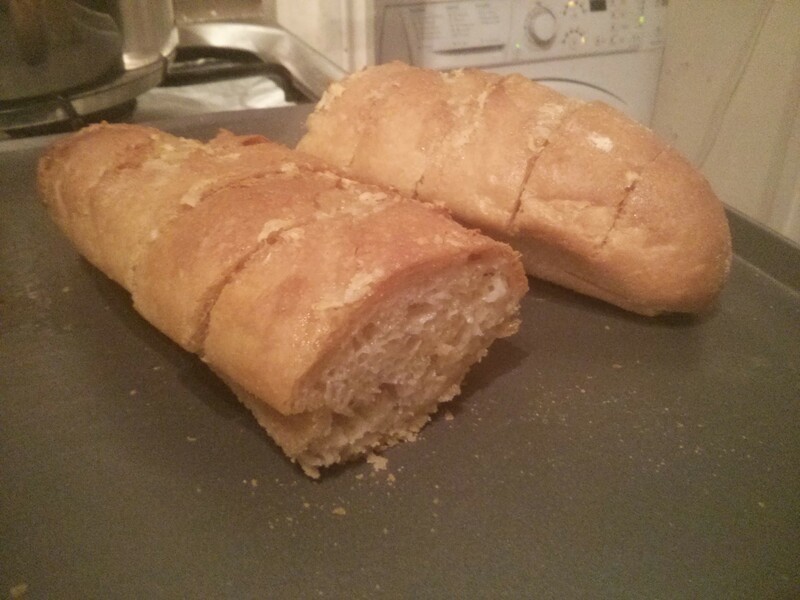 Splitting it open and it’s looking good! As for the taste… It tasted real. 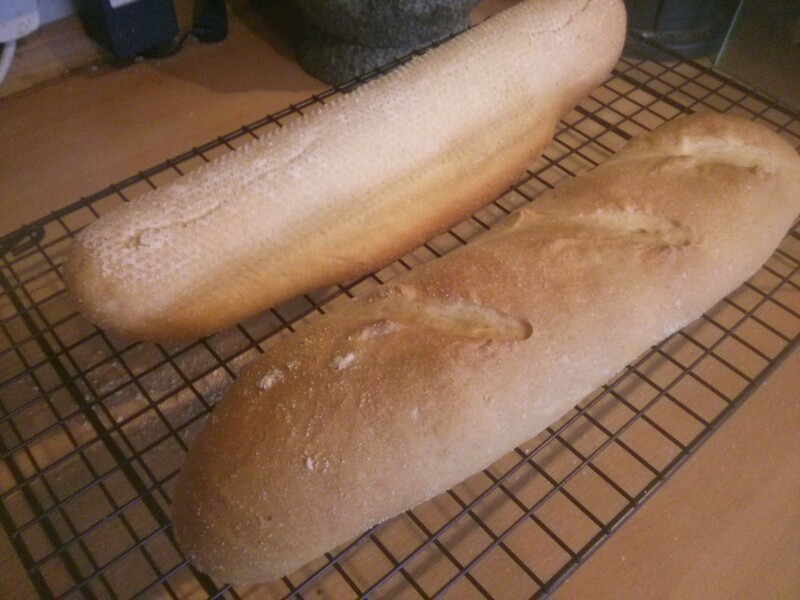 Like real baguettes. You know: French ones. I am extremely happy with how these turned out!